Candeo Design is a landscape design company dedicated and passionate about creating stunning, user friendly and unique gardens and outdoor spaces. All designs are based on strong horticultural practices as well as creative use of quality and interesting products throughout the garden. Strong colour and texture is a common theme throughout Candeo Design gardens creating beautiful visual effects. These design theories are the corner stone of Candeo Design and will help make your new garden "shine, glow, grow brilliant". Candeo Design was set up in 2006 by Brent Reid. Brent has worked in the landscaping industry for 22 years learning the ropes at Semken Landscaping, whilst studying Horticulture at Burnley College and Holmesglen College. During his time at Semken Landscaping Brent worked in both the garden construction and the garden maintenance sides of the company as well as taking the leading hand roll on some specialized projects. Brent was lucky enough to be involved in the construction of some amazing Show Gardens at the Melbourne International Flower and Garden Show working with some of Melbourne (and Australia's) best Landscape Designers. This is where Brent’s passion for Landscape Design was born. Brent moved into Landscape Design working under Jim Fogarty at Jim Fogarty Design for just over 3 years. During his time at JFD Brent had the opportunity to be involved with drafting designs of numerous Show Gardens as well as designing gardens for Backyard Blitz and worked as a design advisor on Burkes Backyard. Spreading his wings in 2006 Brent started Candeo Design. "Candeo" is a Latin word meaning "To shine white" or "Shine, Glow, Grow Brilliant" this has become the mantra for Candeo Design and the gardens it creates. Brent returned late in 2009 from a 3 year stint in the United Arab Emirates designing and constructing signature pools and landscapes throughout the UAE. Brent was lucky enough to be commissioned to design gardens and pools on Palm Jumeirah (The Palm Island) and in Emirates Hills as well as many of the best addresses in the UAE. Sharjah Botanical Museum, Sharjah English School and the Oundle School in Dubai where amongst some of the projects Brent put his name to while in the UAE. Whilst in the United Arab Emirates Brent wrote a weekly garden article for Emirates Business 24/7 Newspaper and articles for YOU! magazine. Since returning to Melbourne Brent has been fortunate enough to design gardens at Melbourne International Flower and Garden Show, Australian Garden Show – Sydney and Malaysia Garden Festival where he has been awarded the full range of medals, Gold Silver and Bronze as well as “Best Use of Plantlife” at the Melbourne Show. Candeo design has been Lucky enough to design gardens at Garden Shows for Momentum Energy, Northern Territory Tourism, Family Life and Scotts Australia. While designing show gardens has been fun and a great way to show his talents to the general public Brent has designed dozens of gardens for his residential client base that have been completed, some have been featured in magazines such as House and Garden, Home Beautiful, Outdoor Design to name a few. Some have been opened for Victorian Open Garden Scheme and Garden DesignFest. While some gardens have made television appearances on programs such as Gardening Australia and Backyard Blitz. In recent years Brent has had the fun task of design gardens for numerous schools such as Forest Hills College, Our Lady of Perpetual Help Primary School in Ringwood, St Thomas More’s Primary School in Belgrave, Holy Spirit Primary School in North Ringwood, Montmorency College and St Leonards College in Sandringham. Candeo Design has also designed many gardens as part of larger school projects alongside the Victorian Education Department. 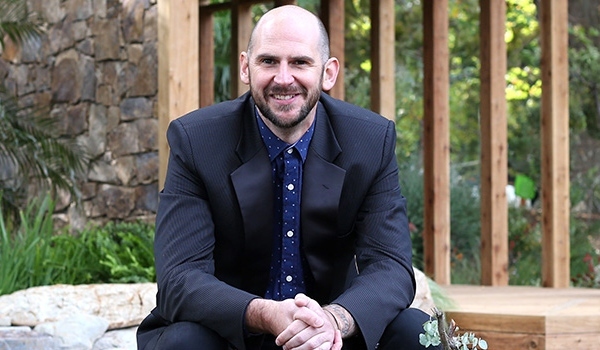 As well as being one of Melbourne's most prolific Landscape Designers Brent has extended his skills to becoming a judge of the Landscape Victoria ‘Industry Awards’ for landscape design. In late 2017 Brent embarked on his first Garden Tour as a tour leader with Ross Garden Tours (RGT) to Japan in Autumn and looks forward to leading many more tours with RGT in the coming years. Brent has donated his time and skills in landscape design and horticulture to supply garden designs for the Starlight Foundation Gala Ball (2016 and 2017) to be auctioned to raise money to grant Starlight Wishes to sick children. Growing up in a house filled with plant enthusiasts Kim was destined for a career in horticulture and from the moment the wheels where set in motion there was no turning back. This love of plants is a consistent trademark, as clever planting strategies are a common place in her gardens. Completing an apprenticeship in horticulture while studying at Swinburne in Melbourne she also received an award for ‘Best Apprentice’ in recognition of her hard work and dedication to her studies. Kim has been involved with many private garden projects, designing for her clients as well as designing at Show Garden Level. Her highest achievement was in 2014, the recipient of the Gold Medal award and ‘Best Balcony Garden’ in the Balcony Garden category at the Australian Garden Show - Sydney. At the 2016 Melbourne International Flower and Garden Show Kim took the lead to plant Paul Hervey-Brookes’ show garden when he was unable to attend the event the Garden was a collaborative effort and achieved a fantastic Silver Medal. Kim is also involved with YoungHort Australia, as an ambassador. YoungHort is an organisation aimed towards Secondary School students looking for a career in Horticulture. Given her own journey in horticulture, she sees it vital that students know what the industry has to offer and to assist others in their journey. Kim’s design philosophy centres on the emphasis of listening to her clients, to understand their individual requirements and designing their project around those unique principles. The results of Kim’s custom gardens balance functionality with aesthetic appeal that reflects their owner’s personal style. Charlotte has always had a love for plants. Growing up in England she was surrounded by traditional picturesque gardens, depicting naturalistic to formal settings. Coming to Melbourne allowed her to widen her knowledge and experiences whilst igniting her devotion to horticulture. Her passion for horticulture was later combined with her love of design which guided her through her studies. 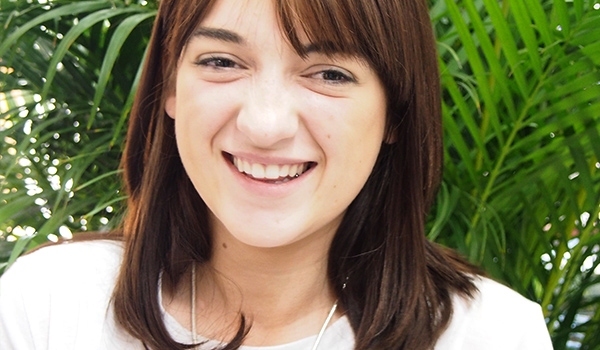 At The University of Melbourne she completed her internship here at Candeo Design and later, graduated from Burnley College in 2017 with a Degree in Urban Horticulture. 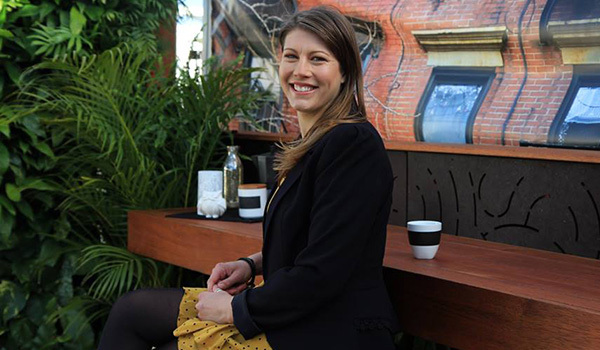 She recently has won a spot on the Melbourne International Flower and Garden Shows, Avenue of Achievable Gardens, which allows student to showcase their talent and skill to the public by designing a 3m x 5m space. Keep an eye out for this emerging designer as we see her progress.